The Recycle This Guide to Recycling at Christmas | How can I recycle this? Mid-afternoon, 25th December. You’re slumped on the sofa surrounded by kith, kin and a mountain of rubbish. Even if you could see past your pudding-filled belly, you still wouldn’t be able to see your feet because everything below knee level is submerged in a sea of wrapping paper, toy packaging and Christmas card that were knocked off the mantelpiece when someone, not naming names, thought it would be a good idea to try out their new remote control helicopter in the house. So what can you do with all that rubbish? You can recycle and reuse it, that’s what! Here some helpful hints on reusing and recycling all that stuff – including some crafty ideas particularly aimed at kids. How can I reuse or recycle Christmas wrapping paper? Shred pretty coloured wrapping paper to use as colourful light but protective packaging around future gifts. One for the kids: thin paper like wrapping paper is great for origami – use it to make Christmas-themed decorations or to give to friends. You can also cut out pictures of penguins, stars or cartoon characters to decorate dull notebooks – or make decorations for next Christmas. 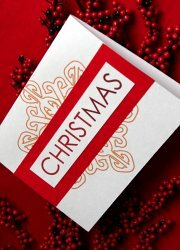 How can I reuse or recycle Christmas cards? The easiest thing to do with pretty Christmas cards is to cut out a square or rectangle from the design to use as a gift tag on your presents next year – use pinking shears or cut out a wavy edged template to make them more interesting. Taller strips could be used for bookmarks too. They can also be use to make spherical Christmas tree decorations/cat toys! One for the kids: Christmas cards are just the right thickness for loads of craft projects – keep a stash for using throughout the year. Make little boxes to keep little things (like erasers or badges) tidy, for the inside “rings” of pom-poms, or use them to make stencils or templates. 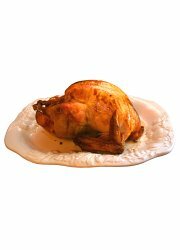 How can I use up leftover bits of turkey? Use leftover lumps of meat in a curry with either parsnips or chickpeas – or instead of chicken in a white chilli. It also goes well with strips of courgette and mushrooms in the green Thai curry sauce, mmm! Smaller bits pulled off bones can be used in a risotto – with leek or butternut squash perhaps? Use pearl barley if you fancy something a little more filling than rice. Boil up bits of skin and bones with onion, garlic, herbs and leftover bits of (raw) veg like celery and carrot to make a stock which can be used in stews and soups – stock can be frozen too. 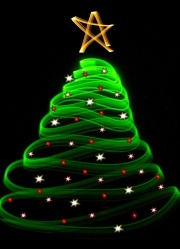 How can I reuse or recycle Christmas trees? 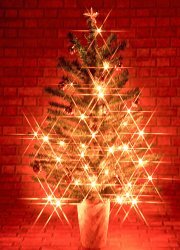 Most council tips in the UK at least take old Christmas trees and shred them to make ground-cover for use in their parks – if you can’t take it to the tip yourself, your council refuse collection might be able to pick it up from your home: call or check their website to see. Strip the needles from their branches and use as naturally pine scented pot pourri or to stuff pin cushions. You can even use them in cooking! Christmas tree needles can also be used to restore balance in a compost heap – they’re rather acid so balance out alkaline things, like wood ash. One for the kids: Get an adult to help you cut some of the bigger branches in small sections then make them into cute little animals – like reindeer decorations for next Christmas for example. How can I make Christmas decorations reusing or recycling stuff? How can I reuse or recycle …. tinsel and Christmas decorations, broken Christmas fairy lights, advent calendars, broken Christmas baubles?, novelty Christmas jumpers, shiny chocolate wrappers, beer and wine bottles … and all sorts of other Christmas stuff? And how to reuse and recycle 1000+ other things from around the home and garden? Recycling during the holidays is so important. Though we all try to do a great job in recyling throughout the year, we should not forget that Christmas is a time where a lot of unnecessary junk is used for gift wrapping, and the like. Be aware of what is going on and try to educate others on how to conserve our Earth . The big message here is think about what your buying in the first place. Most people love Christmas lets remember the underlying sentiment and not just the giving of gifts which is great in itself. Just think will they use it? I’m glad to see people taking steps to inform other of the need for recycling during the holidays. 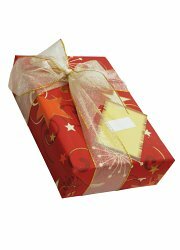 Half of all paper is used on gift wrap, which then gets tossed after 30 seconds of use. I usually make photo wrapping paper and then use the leftover for scrapbooking. It saves the environment and creates amazing keepsakes every year! themed cookie/candy tins. You can pick them up (all different sizes) for little $ at Goodwill, etc. Just clean them, wrap your gift in some tissue paper, place inside the tin and reuse year after year. “CHRISTMAS CARDS APPEAL : I need your help. I need thousands and thousands of Christmas Cards for my new collage … used ones, odd ones, new ones, small and big …any shapes and sizes. If you are happy to donate them to me, can you please send them to my studio address at 8 Havelock Walk, Forest Hill, London SE23 3HG. MANY THANKS.